I was given coupons to purchase the products mentioned below: I was in no way paid to write this review. All opinions are my own. Now these are some of our favorite hot snacks. Of course we have chips, pretzels, cookies, crackers. ect... They all change from year to year, but one thing you can always count on is pickles!! For those of you going huh? You have to realize my mom is a pickle freak. I can't complain to much though, because of my mom they are one of the things I have look forward to over the years as well and thanks too Vlasic Pickles I can now enjoy them like never before! Vlasic Dill Pickles are a delicious, low calorie snack with no fat and only one-gram of carbohydrates, but unlimited crunchy satisfaction. Pickles are a great alternative to high calorie potato chips that will still satisfy that salty craving. 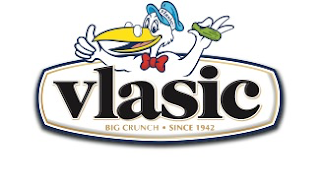 Vlasic Pickles are high in probiotics and contain antioxidants, which help promote good health. In a food culture that is pushing for increased vegetable consumption, it is also important to remember that just one pickle spear equals approximately 1/4 cup of vegetables!! And the new flavors are amazing! No matter how you eat them, there is no denying that Vlasic Pickles are crunchtastic!